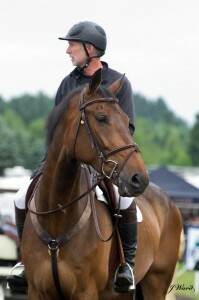 Oz headed back to Wilsonville for a wonderful week at the Country Classic Preview! Rumor Has It and Shelley Campf in the Training Hunter U/S, Adam 12 and Tara Niculescu in the Training 2’6”, Bertolucci and Shelley Campf in the Pre-Green 3’, Rumor Has It in the Pre-Green 3’ U/S, Knightsbridge in the Performance 3’3”, Greyscale and Shelley Campf in the Performance 3’3”, Rumor Has It in the Adult Amateur U/S, Adam 12 and Megan O’Connell in the Schooling 2’, Gettysburg and Emily Perkins in the Schooling 3’, Megan Godsby in the Equitation 17 and Under Flat, Katie Mack in the USEF Medal, Katherine Dash in the Maclay, Emily Perkins in the OHJA Children’s Medal, Alexandra Zell in the OHJA Adult Medal, Alexandra Ulmer in the OHJA Junior Medal, Bryan Laycoe in the Team NW Medal, Emily Perkins in the Team NW Children’s Medal, Katherine Dash in the Team NW Junior Medal, Valdemar and Jeff Campf in the .95 M Jumpers, Union and David Robinson in the 1.20 M Jumpers, Cartiano Z and Tami Majer in the 1.30 M Jumpers, Union and David Robinson in the Junior/Amateur Jumpers. Team Oz took 4 of the top 8 spots in the Team NW Jumper Classic. It was a great class with Jeff and Apache Joe coming in 2nd, Jeff and London coming in 3rd, Union and David Robinson coming in 5th, and Cartiano Z and Tami Majer grabbing 8th.